Miss Shy isn't shy one bit — look how awesome she is! She does wonderfully at agility and enjoys learning new activities. Shy gets on great with other dogs, walks nicely on a lead but her favourite pastime is to hunt flies which keeps her busy for hours! Contact us for more information. 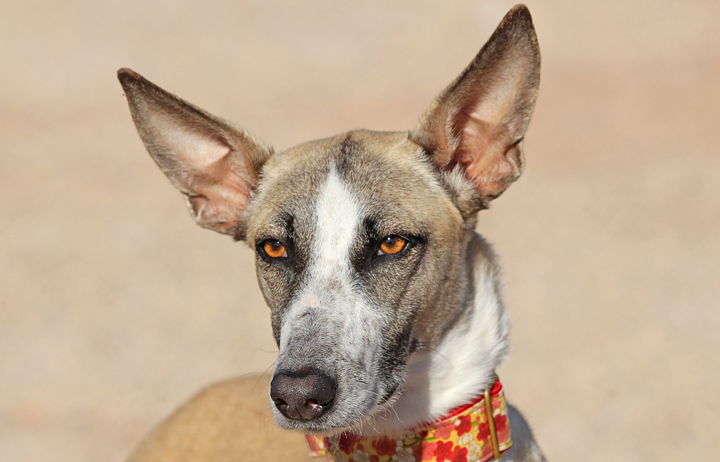 Yes, I am interested in sponsoring or adopting Shy!